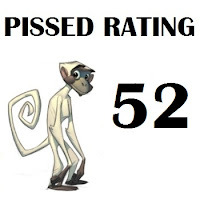 It’s time to try out the PISSED rating system and see if it works. I guess I won’t really know until I’ve applied it to a dozen games or so. Before I begin, I should point out that I’m going to try to strike a balance between rating a game from the perspective of how enjoyable it is to play today and by how pioneering it was at the time of release. For example, the graphics and sound of Below the Root, when compared to Syberia, would get a rating of 0. But at the time of release they were pretty decent and probably would have got around a 7 or 8. I’ll take all of this into account when deciding on a number. Below the Root is filled with questions and mysteries that the player needs to solve to make progress. Whether it’s figuring out how to access a new area, where a key is hidden, or deciphering the many clues that are handed out throughout the game, there’s plenty for your brain matter to ponder over. The thing that makes it all challenging is the vast area of play that needs to be covered, particularly when you consider that each newly gained skill could give you access to unknown areas anywhere on the map you’ve previously visited. Many times I had a sense of being overwhelmed, not knowing where I needed to go next, or who to speak to. Yet whether through luck or good design, I always ended up finding my way before real frustration set in. I’m going to give the game a rating of 6 for this category, as there were no puzzles with ridiculous solutions, and the message pensing ability means you’re only ever a few conversations away from getting some useful information. Once you can pense messages, the solutions to problems are pretty much handed to you. There are numerous pros and cons to discuss here. The good thing about the inventory system is that when you choose an action, the game is smart enough to only suggest appropriate items to you. For example, when you choose the “eat” option, you are not presented with choices such as vine rope or temple key. The bad thing is that you can hardly carry anything. It may be that how much you can carry is determined by your strength and therefore affected by which character you choose to play as, but given how important food is to the game, it’s frustrating when it won’t let you pick any up. This becomes more of an issue later in the game, particularly once you have both keys, a shuba, a vine rope, a trencher beak, the spirit lamp and the spirit bell. That leaves room for maybe one food item. I guess this is countered by the knowledge of more places where food is given away, but still, it was annoying. The burden of a world where coins, keys and food items are all bigger than your head. As for the interface, the whole game is controlled by the directional keys and the spacebar. I like that the spacebar acts as a pause button while also bringing up the menu. This allows you to spend some time looking at your options (and taking screenshots if you’re blogging about the game) while time doesn’t tick away, taking with it valuable rest and food points. The only obviously bad thing about the interface is that it’s just not very responsive at times when reflexes come into play. If I want to move just one step towards a cliff and then stop at the edge, I have to press the directional key once to move and then the reverse key to stop. The amount of times that this second key press didn’t register and I found myself gliding back down to a lower grund level, after spending quite a while getting up there in the first place, was too many to count. I’m going with a 5 here. One of the thousand times that I inadvertently ran into something. Given the story was written by Zilpha Keatley Snyder, there’re lots of rich details for fans of the books to take in. For the rest of us, the story can be fairly confusing, especially with all the terminology that, if it were not for the manual, wouldn’t make any sense to me at all. That being said, the world of Green-sky feels quite alien, so the strangeness doesn’t seem completely out of place. It’s surprising to find racial social commentary showing up in an eighties video game, but the message is conveyed nicely, not only through the story as a whole, but through the way Erdlings (who have dark skin) will be more reluctant to assist Kindars (who have light skin) and vice versa. All up I found the story quite interesting and the mystery to it all really kept me coming back for more. I’d like to be really generous when rating this category, but there’s no doubt that modern game stories are far more complex and satisfying, and the extremely abrupt ending left me feeling empty. So, 6 it is! Sound is so minimal in Below the Root that it’s hardly worth mentioning. There are sound effects such as footsteps and jumping, but they’re extremely basic. The music is a little more interesting, with a few celebratory tunes popping up when you achieve something of note. Even these have that ugly PC speaker sound that was par for the course in early computer games. As for graphics, well they suffer greatly from the four colour limitation of CGA Palette 1. If you take a look at the version that appeared on Commodore 64’s, it’s obvious that a bit of colour goes a long way. In particular, not being able to display green when the game is based almost entirely in trees is not exactly ideal. I also had quite a bit of trouble telling the difference between items lying about, meaning I had to pick them up to see what they were. Still, there’s no doubt that Dale Disharoon did a pretty decent job with the minimal tools he had available, and Green-sky is a fairly convincing place to spend time in. Animation is merely adequate, which is to be expected from a game made in 1984. I’ll have to be harsh and give this category a 3. My mid eighties C64 jealousy returns!!! There’s something exhilarating about climbing from branch to branch, making your way up to the very peak of a massive tree, then simply jumping off and gliding slowly down, choosing your place to land at any stage. I can’t say I’ve experienced that in any other game apart from MDK, but there’s a huge difference between the cannon fodder filled abstract madness of that game when compared to the natural, pacifistic world of Green-sky. Little details add depth to the world also, like the way you can’t take anything from any building unless it has been offered to you first (even if there’s no-one living there), and the fact that Kindar’s are vegetarian after living in the trees for so long and are therefore adversely affected by eating meat. There’s a real spiritual resonance to Below the Root that has much more to do with Snyder’s world leaking into the game through these minor details, rather than any actual gameplay element. I found the world compelling, and I can only imagine what a game based in a similar environment would feel like with today’s technology. I’m giving Below the Root a 7 in this category as everything I’ve just mentioned resulted in a compelling and consistent atmosphere. Clearly there’s no acting to speak of here, nor will there be for many years yet, but dialogue certainly has a role to play in Below the Root. It is entirely one-sided however, with the player being told pieces of information with no way to ask any direct questions or make any comments at all throughout the game. I guess this works well enough for this game, which is all about finding out clues and trying to put the pieces together, but when you’re desperately trying to find a particular item or place, it can be frustrating not having any control over conversations. This is an area that would improve dramatically in adventure games over time, so I have to give the game a dialogue rating of 4. I should also point out that as useful as it is to be able to tell what emotion each game character feels for the player prior to interaction, the choice of descriptive words are surprising. I wonder how many kids know what words such as avarice and furtiveness mean? I found myself checking in online dictionaries a few times to make sure my assumptions of character's motivations were correct. Have you now?! Mind telling me how? Hello?! What...that's it?! 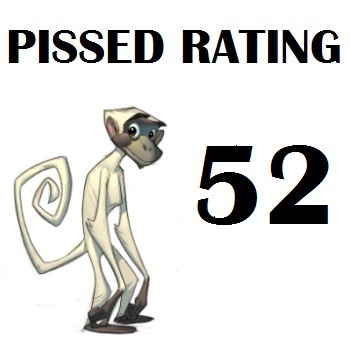 If my calculations are correct, that leaves Below the Root with a PISSED rating of 52. We'll have to wait and see how that stacks up against other adventure games. I can say that from a purely entertainment point of view, 52 seems low for this game, but given I'll be following the genre through it's evolution, it's not surpising that the first game on the list is fairly low. Onto King's Quest we go! I remember playing BTR on my friend's Tandy-1000 back in the mid 80s. I still pull it out and play it every few years, it's a really great game. I think this is a really great review and I'm glad that now more people have a chance to hear about it. One of the things I like the most about it is the real sense of open-ended exploration - games like Metroid that have similar hierarchies of tools that you have to get before you can get to area X seem too "guided" to me - it's obvious that every area is specifically set up to guide you on a certain path. BTR felt much more like a living world with all of the areas combined together. By the way, I haven't exhaustively tested this, but starting BTR with the girl with the highest spirit power at the beginning allows you to get the higher spirit abilities much quicker which opens up more of the map faster. However she gets tired quicker, etc. It really was groundbreaking but it's amazing how few other games that I know of have captured the same sense of the joy of exploration in a fairly peaceful world. The replayability of the game is something I failed to mention, so thanks for pointing that out Kennon. I'm sure playing as a different character would result in a pretty different experience, with vastly different priorities. If I ever play it again (and lets face it, I'm not going to have a lot of time to replay games), I'll try out the young girl character. Remember, "the trencher beak cuts slowly", but "the Wand of Befal cuts swiftly". You'll notice I mentioned the sword in one of my earlier posts but totally forgot about it later in the game. I'll always remember Below the Root for being the game that most successfully rewards players for not using violence (the King's Quest series does it but less successfully). The main value of the Wand of Belfal I recall, is trencher beaks break. It can be a real downer to have your trencher beak fail in the middle of trying to get somewhere, especially with the limited inventory. Or rather, it seems, the code is likely in the game, but we don't know how to get to it in the other versions.